One of the great things about a Candian rail journey is that you can mix and match to suit your taste. You can decide to travel all the way from Toronto to Vancouver for over a week or you can just spend a few days going through the Rocky Mountains. Whether you want to travel for a few days or a few weeks, just fill in the enquiry form on the right or call us direct on 0845 365 6565 and one of our advisors will be in touch to help you plan your holiday. Whatever you decide you are certain to see some wonderful things. And all of this can be seen from the comfort of a luxury train. 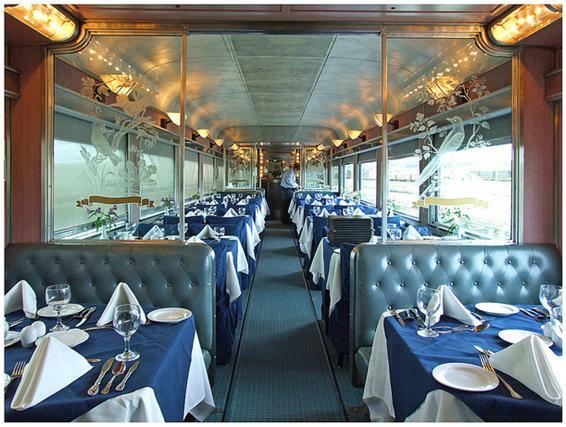 Stretch out, enjoy fine dining and at a relaxing pace watch the stunning scenery go past. From Toronto If you decide to start in Toronto then why not spend a night or two explorting the city including a visit to the one of the Seven Wonders of the Modern World. You can also take in the Niagara Falls and the Maid of the Mist boat tour. Once you dry the mist from your hair you can board the train at Union station. The first 3 days of the train journey pass through the Great Plains on the way to the mountains. If you would prefer you can just pick up the train at the start of its journey into the Rocky Mountains. The mountains are more than just amazing views. 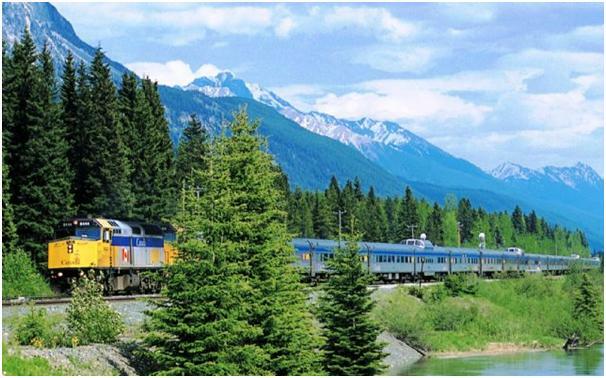 You can take in the world famous resort of Banff and the National Park. This includes Lake Louise which is frozen for much of the year allowing visitors to walk from one side to the other. Pass the Athabasca Glacier and continue to the mountain town of Jasper. You can then descend down to Vancouver or make you way to the olympic ski resort of Whistler. Either way you end up in the amazing city of Vancouver. The journey down is one of the best in the world as you descent down to sea level. You go from snow topped mountains to pass dramatic rivers and then almost desert like landscapes. It really is quite amazing. When in Vancouver you can decide to do as much or as little as you wish. You can visit attractions such as the Capilano Suspension Bridge, Police Museum, Vancouver Aquarium, Stanley Park and the Space Centre.. You can also use the city as a base to visit Vancouver island. From here you can experience true wilderness and wildlife including bears and whales. So whether you want to travel for a few days or a few weeks, just fill in the enquiry form on the right or call us direct on 0845 365 6565 and one of our advisors will be in touch to help you plan your holiday.